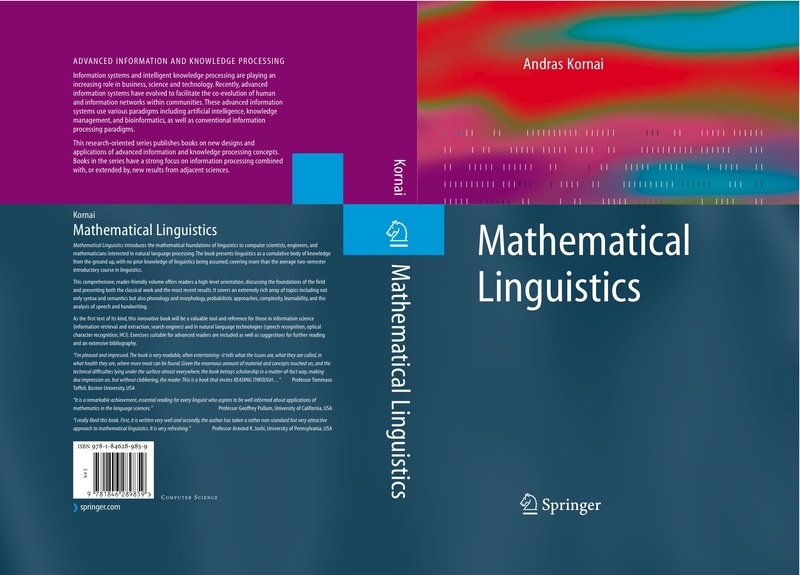 Mathematical Linguistics This is the home page of the book Mathematical Linguistics started in November 2007 (the book is officially dated 2008). Reviews Alexandre Allauzen reviewed the book on the Linguist List. Richard Sproat reviewed the book in Computational Linguistics 2008/4 and generously shared the latex source with me, so that I could produce a commented version. Horacio Rodríguez reviewed he book in Machine Translation 2008/4 and generously shared the pdf, so I could produce a commented version. Emmon Bach and Eric Bach reviewed he book in Language 2013/4, here is the pdf.